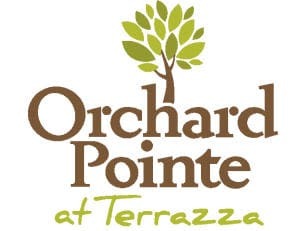 Orchard Pointe Memory Care is a cozy, secured environment tailored to those with Alzheimer’s or other forms of dementia that includes private suites and comfortable common areas. 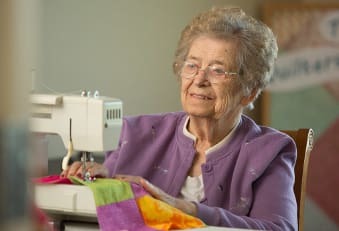 Daily routines of bathing, dressing, grooming, eating, and managing medications are customized per each resident’s needs, as are a wide range of memory care activities such as games, music, and crafts. Our caregivers understand and value each resident as an individual with different needs and provide cueing and reminders based on those needs. 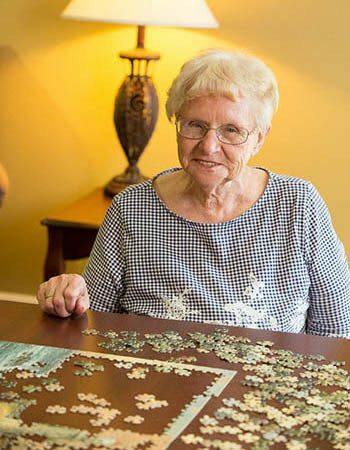 We feature a unique Memory Care program called Portraits that is based on the philosophies and principles of Dr. Maria Montessori and centered on enhancing our residents’ abilities – what they can do instead of what they can’t. We know that memory loss affects everyone differently, and we are committed to helping each person feel like him or herself in any way possible. The focus of Portraits is finding each resident’s level of ability and stimulating it – both to encourage brain activity and to add meaning and purpose to every day.